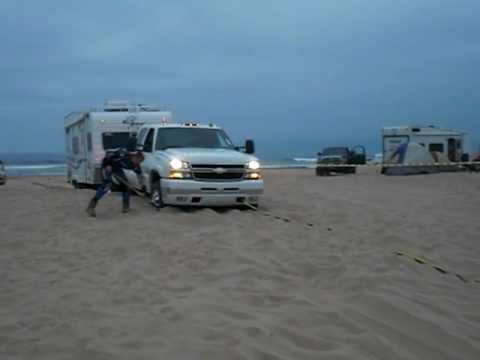 Those crazy campers can do some pretty silly driving.Tackling mud holes, parking on the beach and boldly going where no regular motorhome should ever attempt are not recommended. Learn from these mistakes, which will hopefully not be repeated!1. Note where car park turns into beachIn case you were wondering, you can't use the beach as an over-flow car park, unless you want to set up permanent camp. If you do find yourself in this situation, a lighter van and grip mats will serve you well. Those crazy campers can do some pretty silly driving. 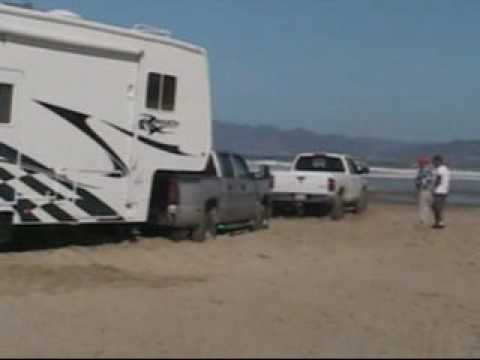 Tackling mud holes, parking on the beach and boldly going where no regular motorhome should ever attempt are not recommended. Learn from these mistakes, which will hopefully not be repeated! In case you were wondering, you can't use the beach as an over-flow car park, unless you want to set up permanent camp. If you do find yourself in this situation, a lighter van and grip mats will serve you well. 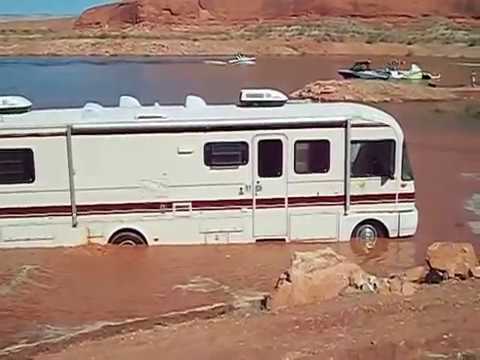 Unless you have an amphibian motorhome, it can't swim and won't like being surrounded by water. Therefore it is important to check the tide times if you do venture across a causeway. However, if you do want to explore on land and across the lake, the Terra Wind amphibious motorhome might interest you. 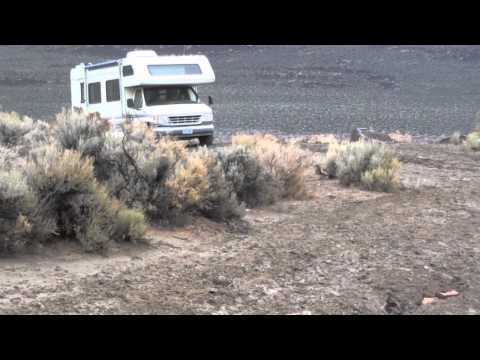 There are some roads that just weren't built for motorhomes. There are also some instances that the road you drove down before the storm becomes impassable afterwards - common sense is needed. 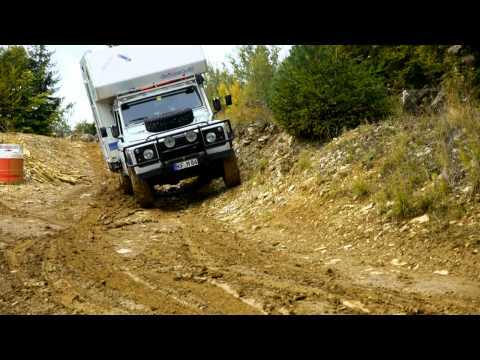 In fact, you may need to have several friends with 4x4s, even with a 'lightweight' caravan, trailer or motorhome. If you're planning to go off-roading or just like being adventurous, take an off-road training course or get tips and advice from an experienced off-roader. You'll need Four Wheel Drive, a solid construction and nerves of steel. Let us know your motorhome horror stories on Facebook and Twitter.